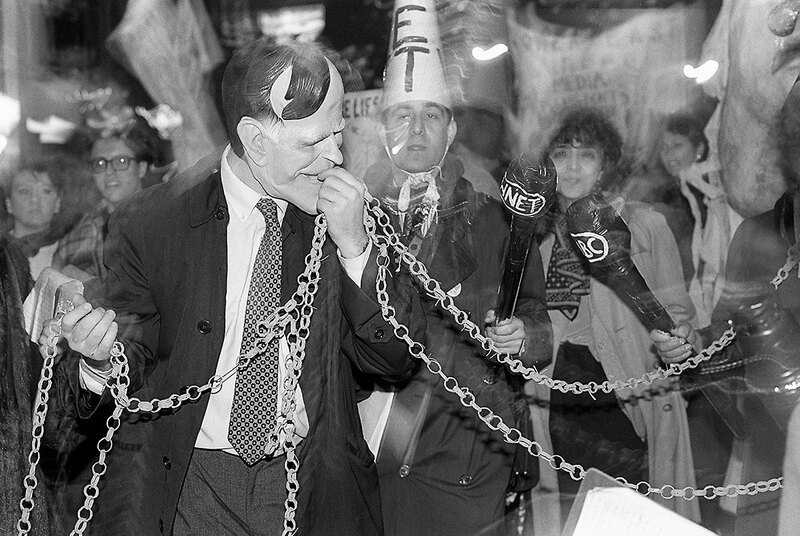 Protesting the Gulf War, a demonstrator in a mask resembling President George H Bush is led along 6th Avenue by demonstrators representing the media. CNN broadcast images of the air attack on Baghdad - the beginning of the first "live" television war. As a city of immigrants and the home of the United Nations, New York has a long history of engagement with world affairs. 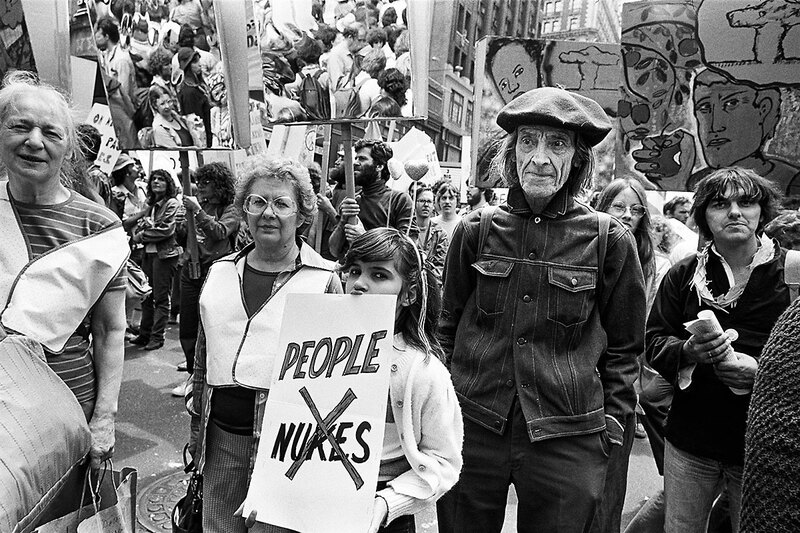 In the early 1980s, one million people gathered in Central Park in support of the Nuclear Freeze Movement, urging the U.S. and the Soviet Union to stop the nuclear arms race and prevent the environmental disaster of a nuclear winter. 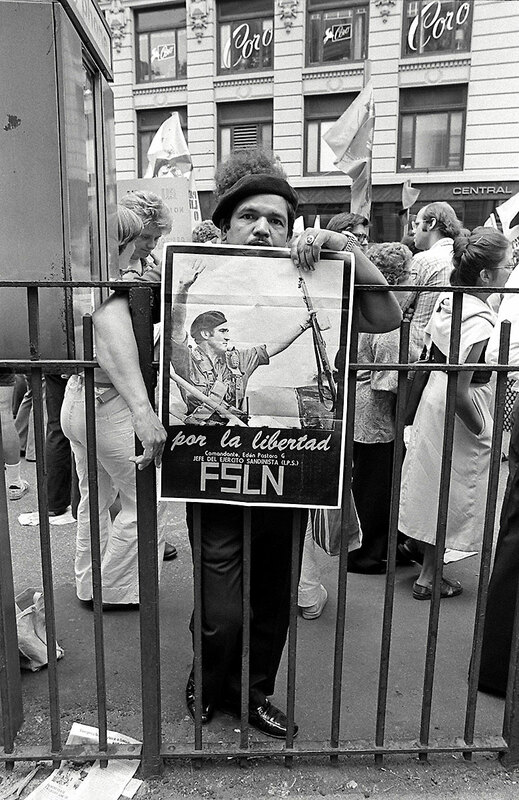 The Central American Solidarity Movement sought to draw attention to the deaths of thousands of civilians at the hands of U.S. backed-militaries in Nicaragua, El Salvador, and Guatemala; to offer support to activists in those countries working to secure human rights; and to change U.S. foreign policy in Central America. 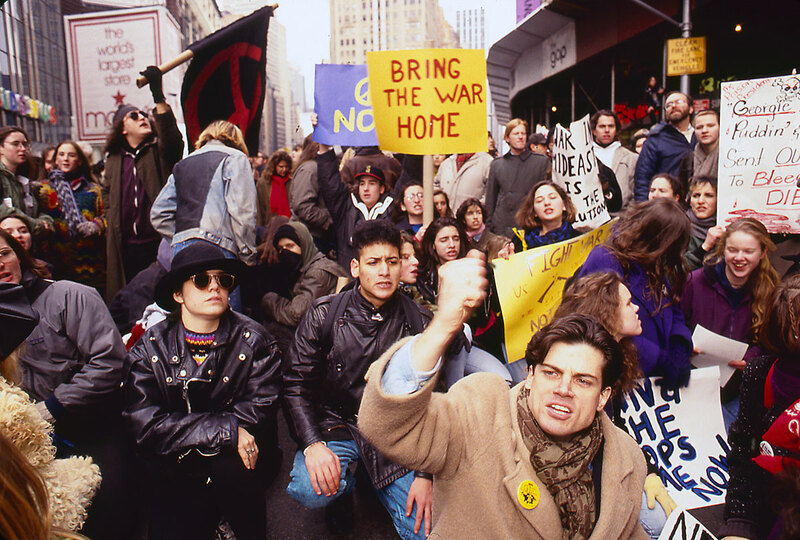 New Yorkers marched and cycled in opposition to the 1990-1991 U.S.-led Gulf War against Iraq; counterdemonstrators celebrated U.S. nationalism and urged support for the military. 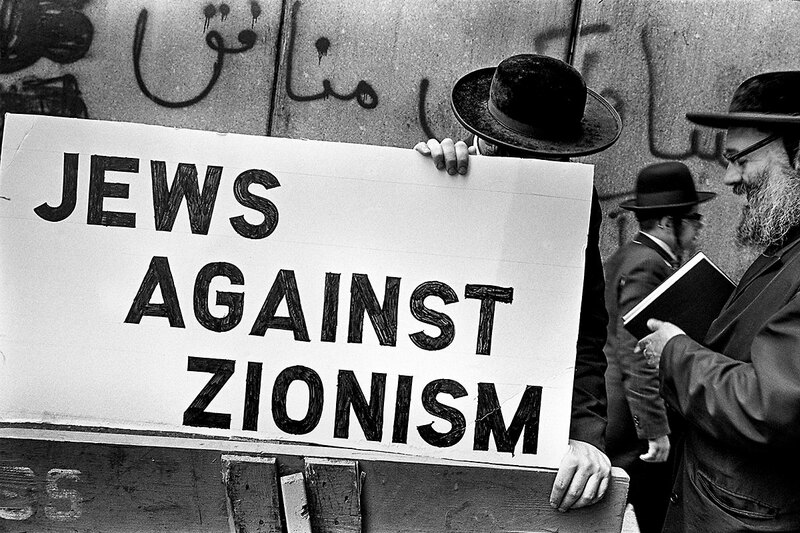 Activists staged protests of religious conflicts in Ireland and the Middle East, appealing to ethnic communities within New York and drawing on its status as a global media hub to get their message out. 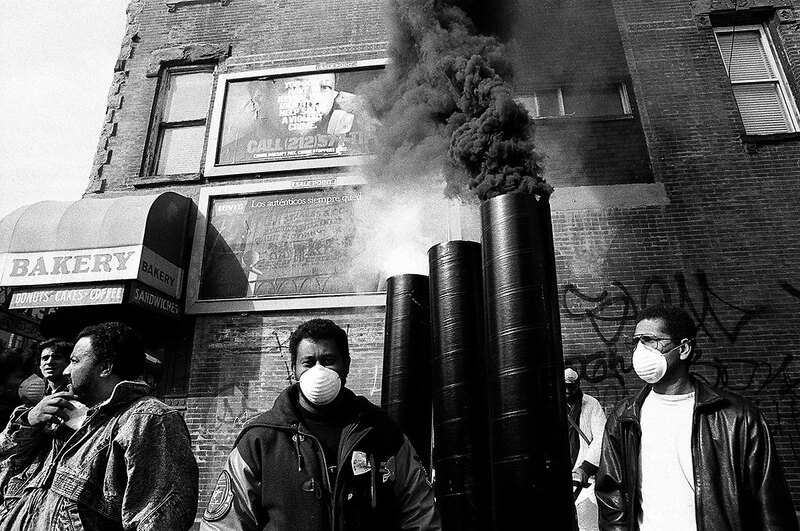 Environmental justice activists drew attention to high rates of pollution and asthma in low-income, minority-majority neighborhoods in New York City, as well as to the growth in the number of waste processing and power plants in these communities, a result of privatization and deregulation. 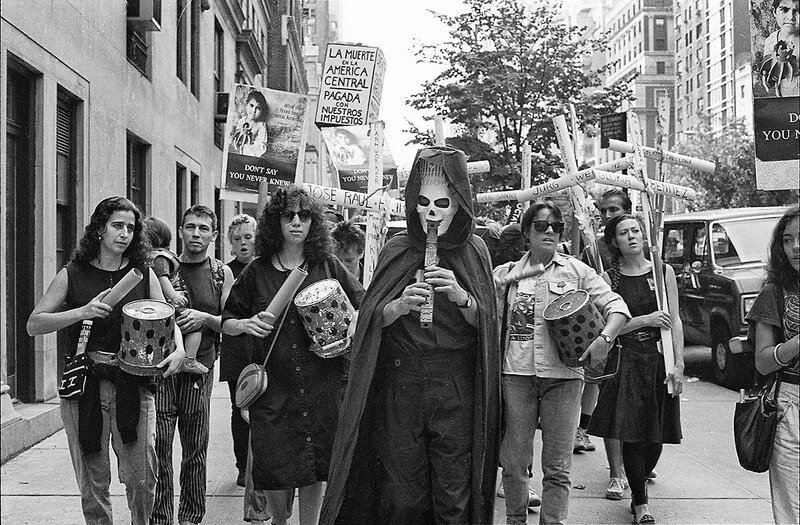 In the 1980s and 1990s, activists worked to oppose the construction or expansion of incinerators, waste treatment facilities, and power plants in Sunset Park and Williamsburg, Brooklyn, West Harlem, and the South Bronx. 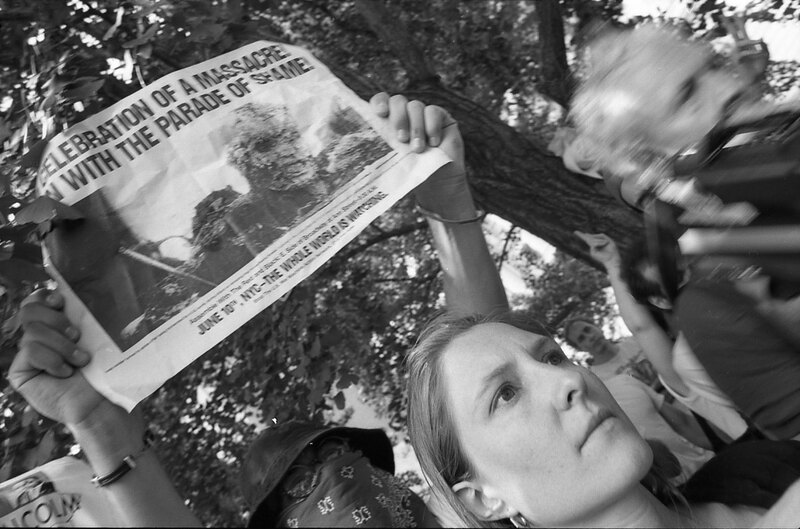 Many activists drew connections between military and environmental policies as warfare caused environmental degradation including the burning of oil wells in Kuwait and Iraq, and military spending put pressure on federal budgets, making funding for environmental protection more difficult to secure. Participants in the Nuclear Freeze Rally in Central Park, calling for an end to nuclear weapons. 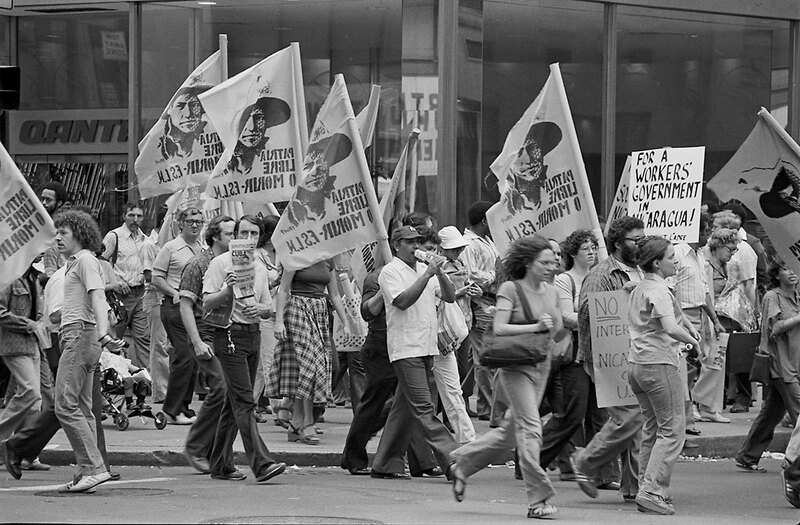 At the time, with 1 million participants, this was the largest single demonstration in United States history. 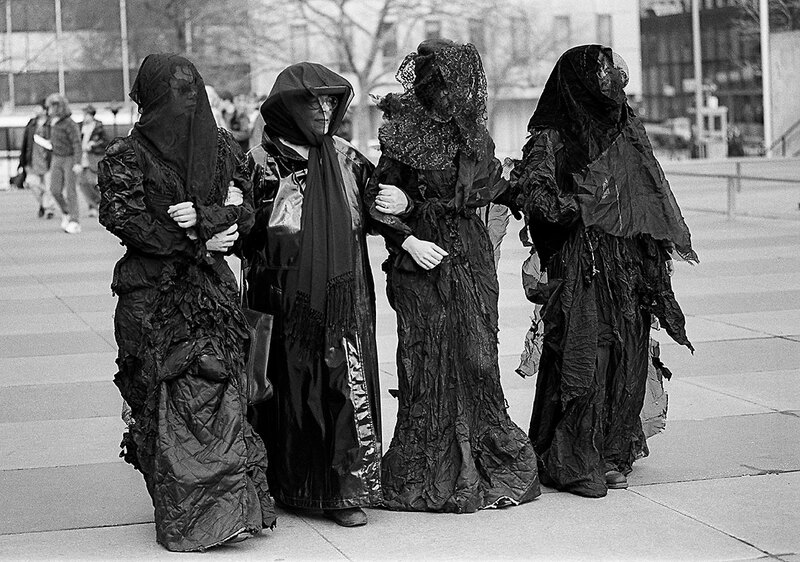 Women in Black New York City wear "The Dresses" to a celebration of International Women's Day at the United Nations, 2000. "The Dresses" have been signed inside by each woman who has worn them in anti-war protests around the world. 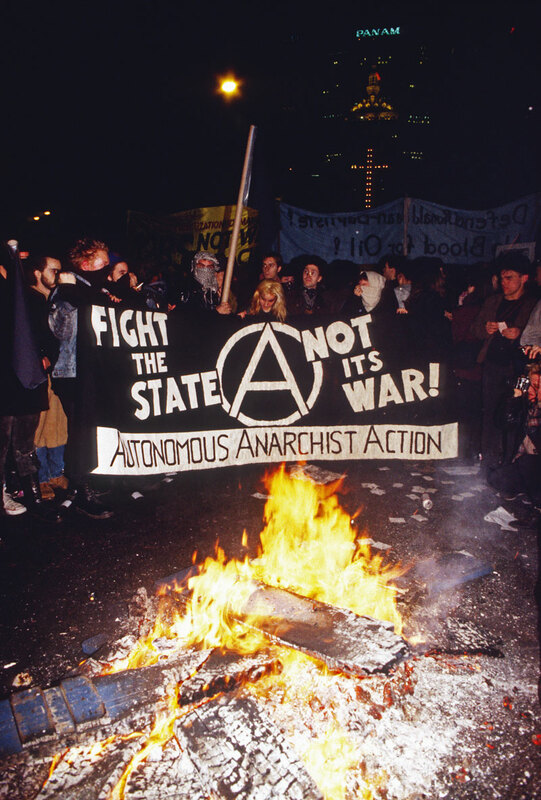 Anarchist group burns NYPD barricades on Park Avenue across the street from the Waldorf-Astoria hotel. A group of activists and Salvadoran expats make their way to the United Nations for the World Summit for Children. 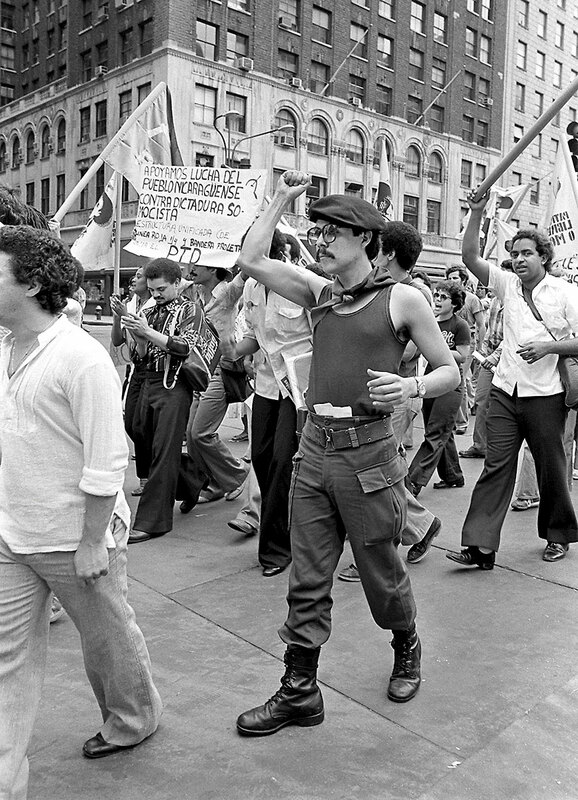 The protest was called to bring attention to the murders by death squads that had increased in El Salvador despite an agreement by the Government and Frente Farabundo Martí para la Liberación Nacional (FMLN) brokered by the United Nations. The escalation in fighting between the government and guerrilla forces was preceded by the killing of six Jesuit priests the previous year. 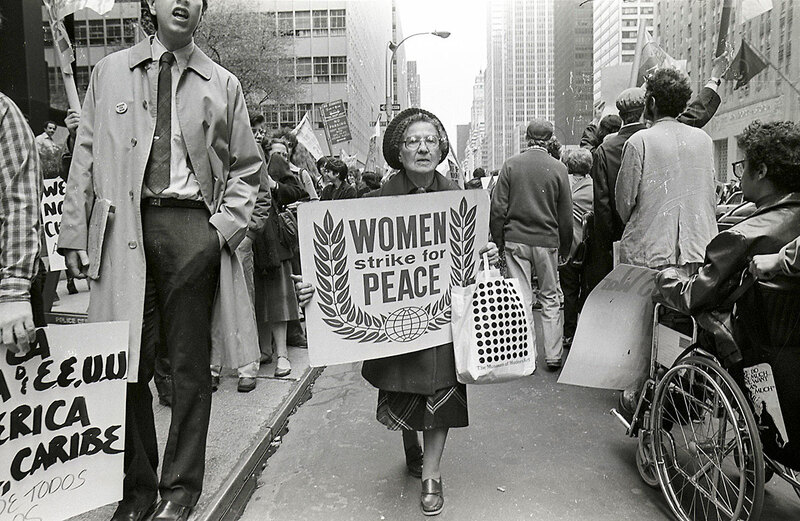 Member of Women Strike for Peace, a pacifist group founded in 1961, demonstrates against U.S. foreign policy in Central and South America. Activists and Salvadoran expats make their way to the United Nations for the World Summit for Children. 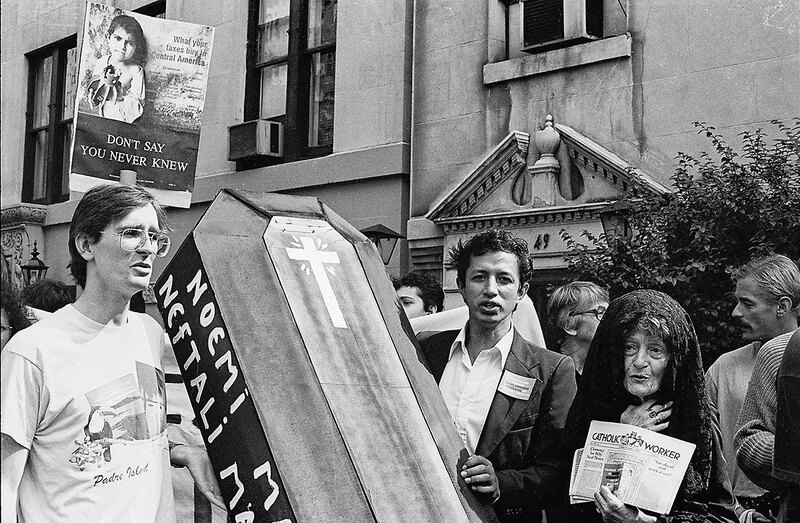 The protest was called to bring attention to the murders by death squads that had increased in El Salvador despite an agreement by the Government and Frente Farabundo Martí para la Liberación Nacional (FMLN) brokered by the U.N.
On the second anniversary of the murder of six Jesuit priests and their housekeeper and her daughter, people gather at the Salvadoran consulate to protest US policy in El Salvador and to remember the victims – priests, nuns and tens of thousands of Salvadoran civilians – brutally murdered for defending the poor during the Cold War. 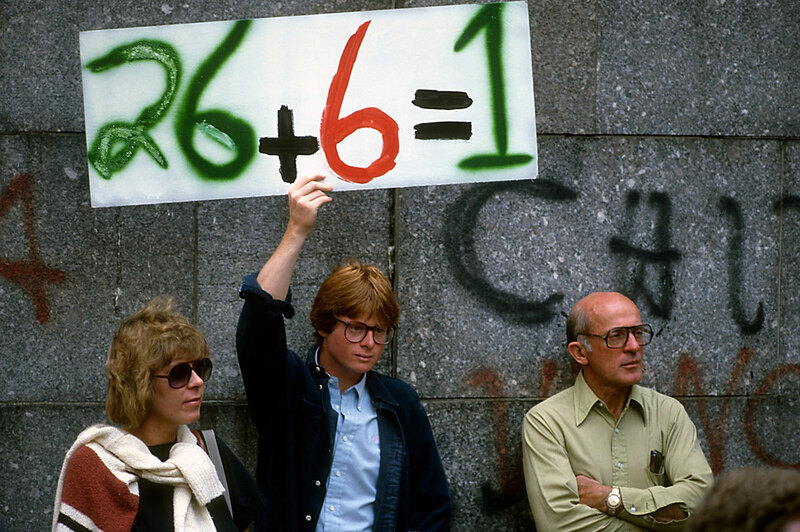 demonstration for non-intervention in Central America. 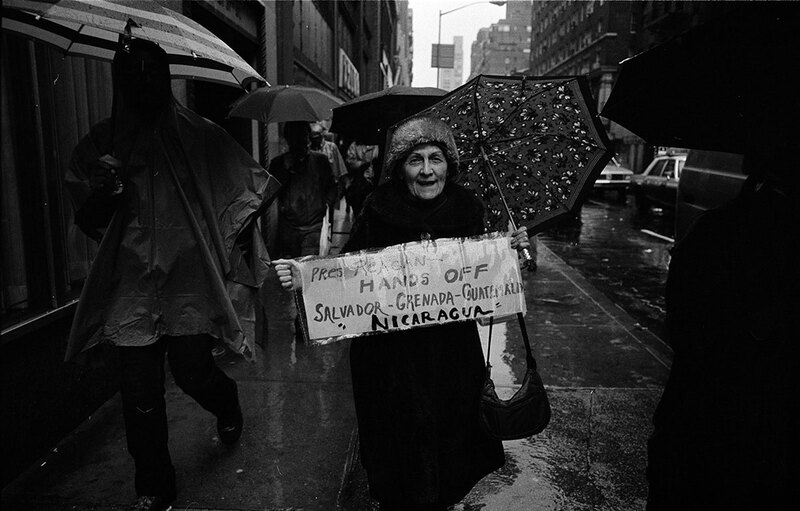 A demonstration against U.S. foreign policies in Central and South America. 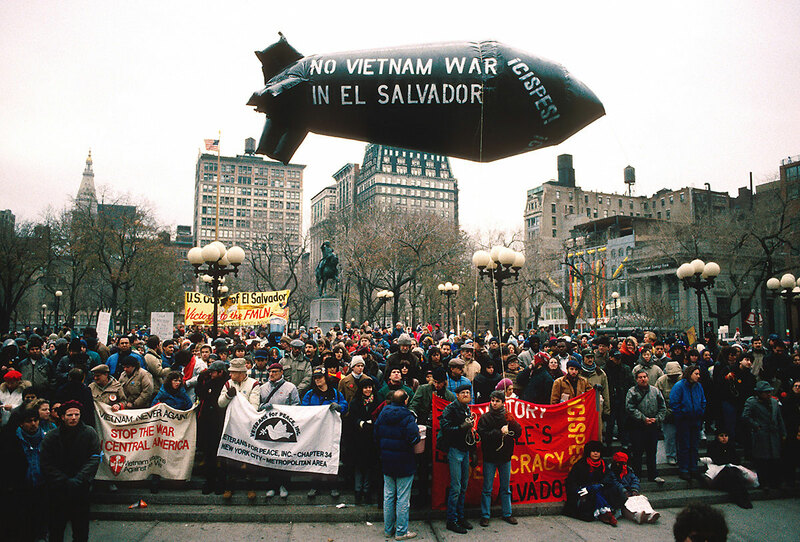 Protest in Union Square against U.S. military intervention in El Salvador and Nicaragua. 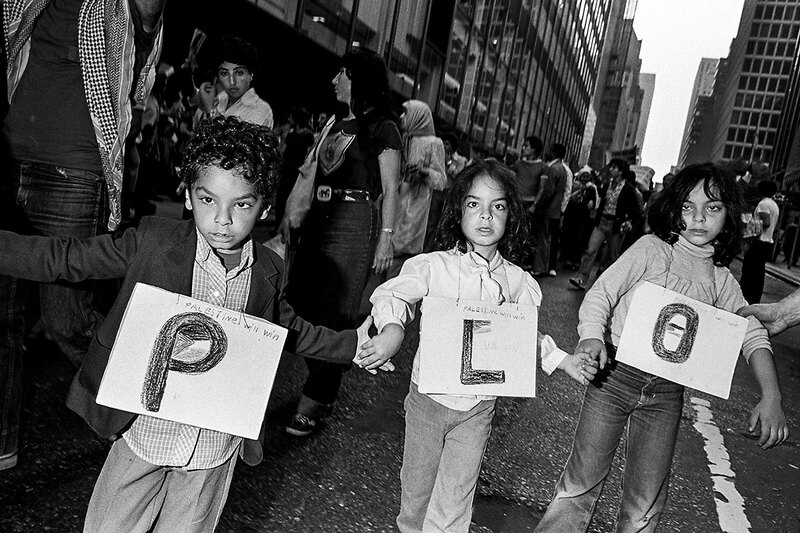 Children take part in a demonstration in support of the Palestinian Liberation Organization. 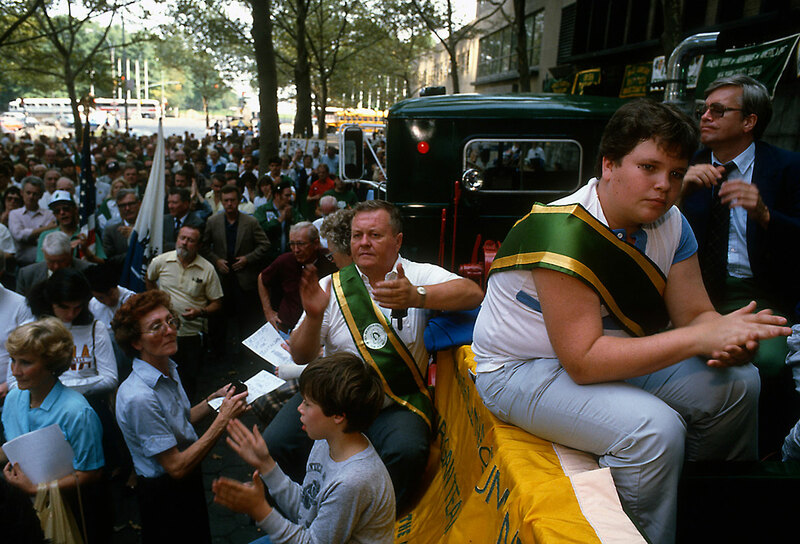 Operation Desert Storm Homecoming Parade. 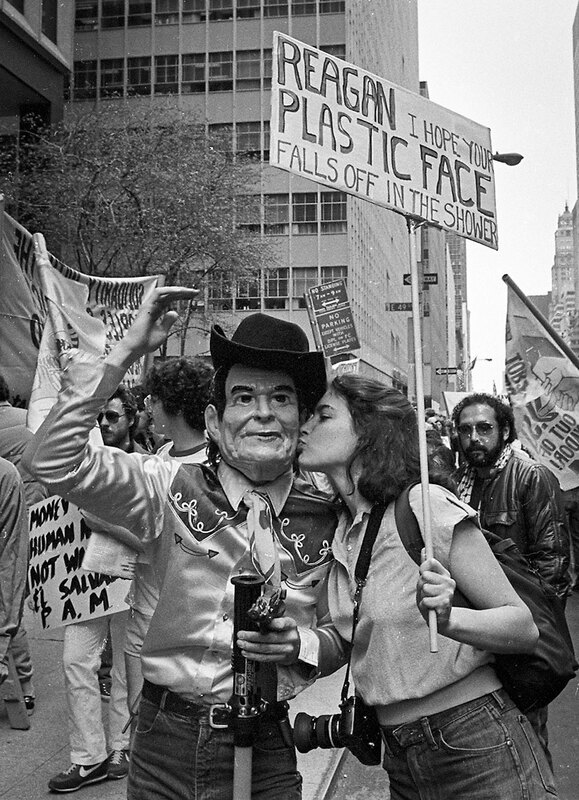 Protester at Operation Desert Storm Homecoming Parade. 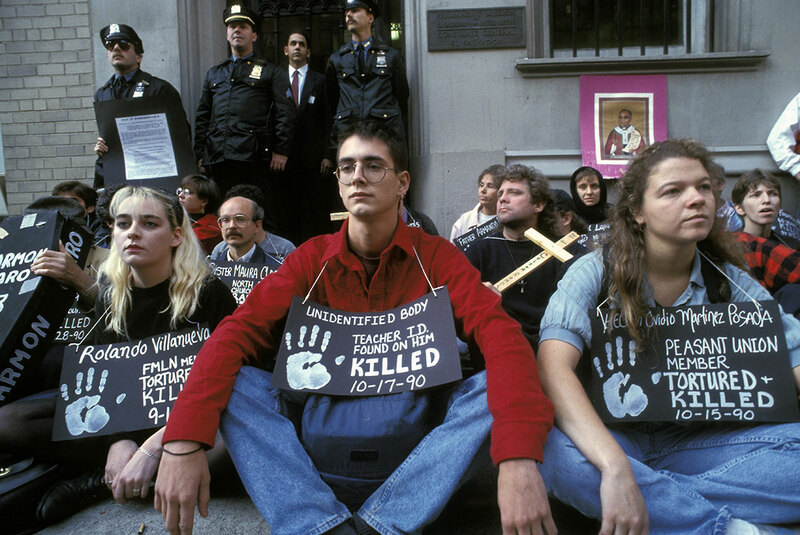 Students protest the Gulf War. Toxic Avengers draw attention to environmental racism during the New York City Marathon. A March and rally protesting the Bronx Lebanon Hospital medical-waste incinerator in the South Bronx. It closed in 1991. 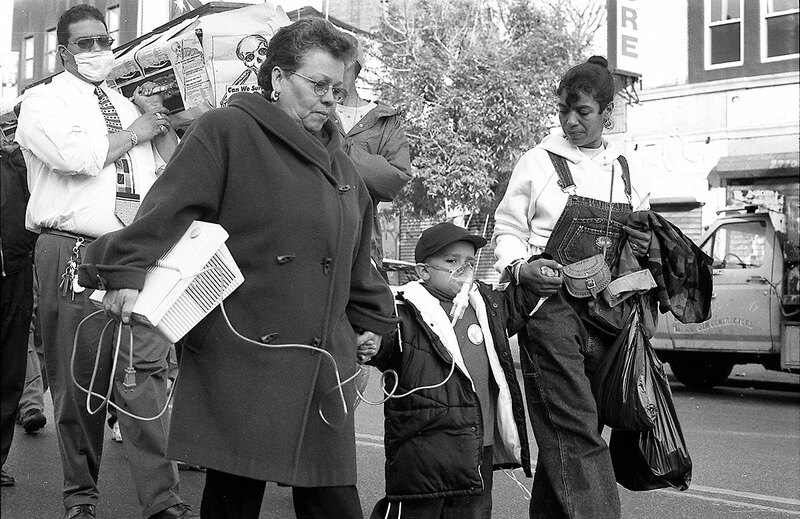 The grandmother carried an asthma ventilator as a symbol of the issue. 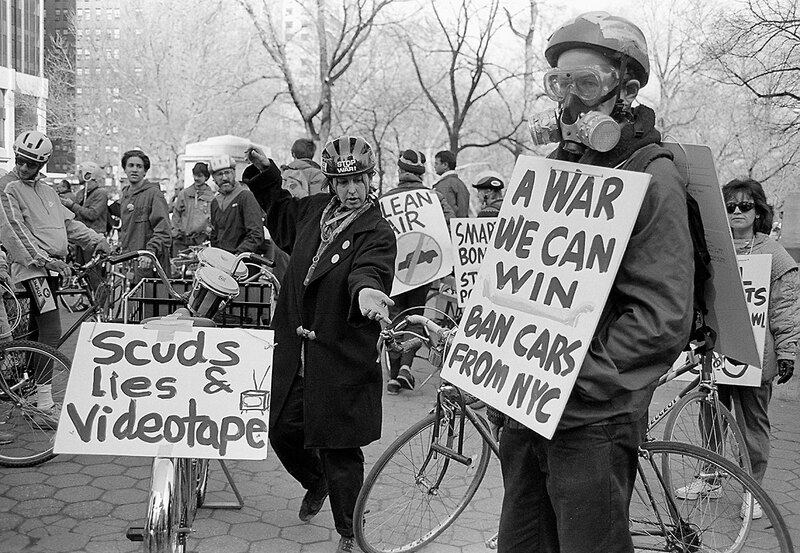 Cyclists prepare for a ride to protest the Gulf War and to promote bicycles as an alternative to car traffic in the city. 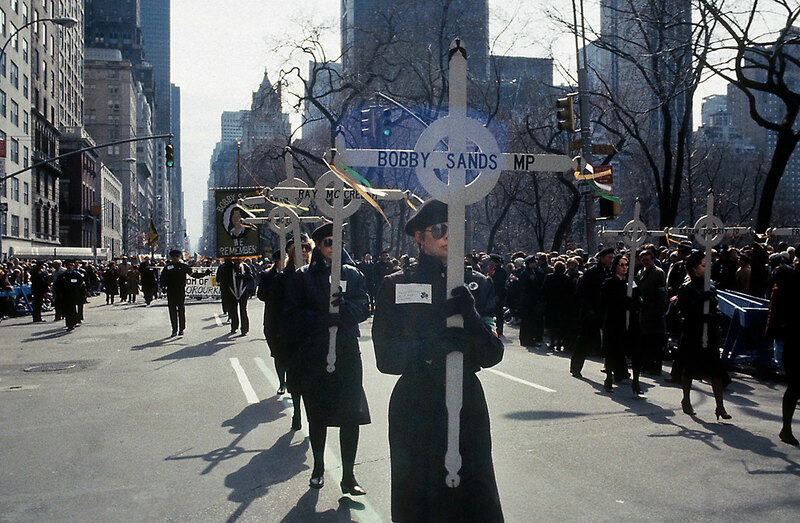 Controversy at the annual St.Patrick's Day parade as a contingent from the Irish American group NORAID and sympathizers with Sein Fein and the Irish Republican Army commemorated the Hunger Strikes led by IRA prisoner Bobby Sands. Sands, an IRA prisoner in Long Kesh prison and an elected Member of Parliament, led a hunger strike of 10 men protesting British Prime Minister Margaret Thatcher's refusal to grant them status as political prisoners. The hunger strike ended with the deaths by starvation of 10 prisoners including Bobby Sands. On Irish Solidarity Day, protesters from a coalition of Irish American groups including the Irish Northern Aid committee gather to march and to hold a rally protesting British rule in Northern Ireland. On Irish Solidarity Day, protesters from a coalition of Irish American groups including the Irish Northern Aid committee gather to march and to hold a rally protesting British rule in Northern Ireland. The sign refers to the 26 counties of the Irish Republic and the 6 counties which comprise Northern Ireland which together would unite the island of Ireland as one nation.